Affordable Roofing by John Cadwell, Inc. Winner of the Best Roofing Company! Affordable Roofing by John Cadwell, Inc. has installed and repaired over 7000 durable, water-tight roofs for over 23 years in Florida. Orlando Sentinel asked its readers to vote for Best Roofing Company during the Hurricanes of 2004-2006. As a result, we were honored with the Best Roofing Company Award. Customers devastated by the triple hurricane crossing, trusted us to complete their roof installation. The relationships built during that time were very special to our company. Thousands of residents from Kissimmee to Tavares have trusted us to install their roofs. We appreciate their trust in us. We will continue to work hard for all our past, current, and future customers. At Affordable Roofing, we want to operate with integrity, honesty, and fairness. Always improving Affordable Roofing while maximizing value for our customers. Provide a work environment so our staff can perform to their best of their abilities. Present each of our clients with a superior roof at a great price. Our goal is not to be the Biggest Roofing Company but to be the Best Roofing Company. Provide quality roofing products with exceptional roofing service. Contractor and President, John Cadwell is attentive, making it a point to supervise each jobsite, discuss any questions or concerns with the client. 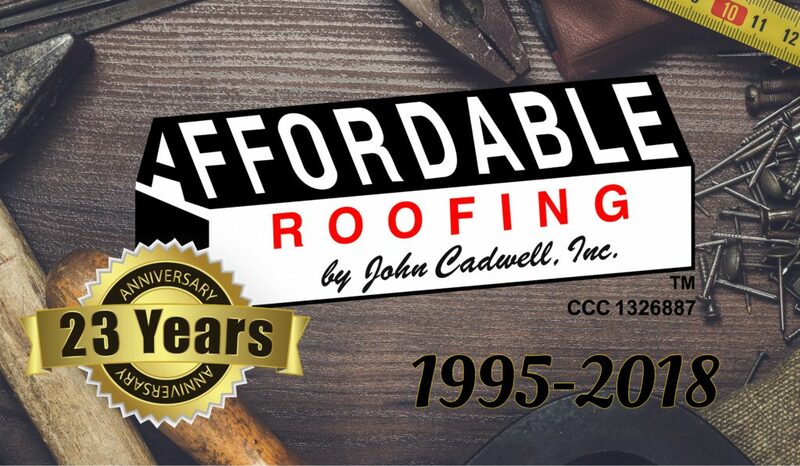 Affordable Roofing John Cadwell, Inc. strives to provide value, respect to our customers, staff, the community, and environment. We will continue improving our practices, the quality of our products, customer service, and proficiency of operations by upholding strong moral principles of integrity and fairness. 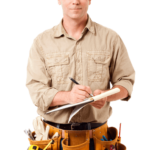 In 1992, Contractor John began working for a local roofing company in Kissimmee, Florida. Consequently, learning to master roofing skills from some of the best roofers in the area that were “old school”; hard and tough. After a couple of years of on the job experience, goals began to change, likewise the idea of what a roofer represented needed to be changed. The construction industry was plagued with a poor reputation due to the construction workers. Furthermore, roofing was evolving into a more technically advanced occupation. As a result, Affordable Roofing by John Cadwell, Inc. was organized. Affordable Roofing by John Cadwell, Inc. provides a home for roofers to take pride in their work. Above all, Affordable Roofing by John Cadwell, Inc. provides a safe, team work style learning environment, while promoting a drug free workplace. Therefore, Affordable Roofing by John Cadwell, Inc. can provide the best possible experience for the customers. 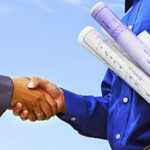 Florida State Residential Building Contractor – coming soon.